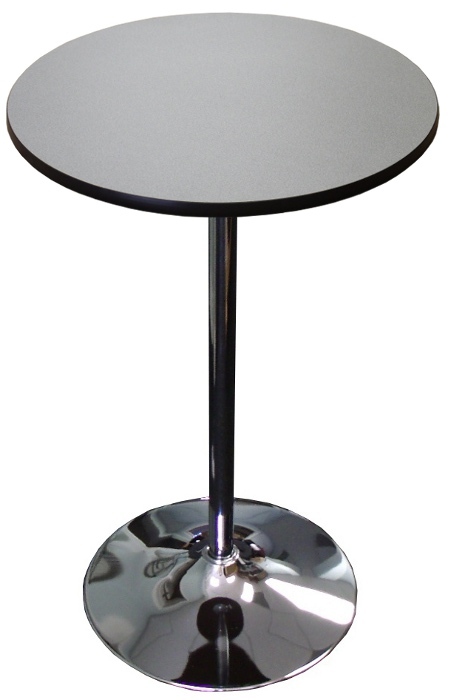 This round highboy table features a laminate top, and round trumpet style base. The combination of the decorated top with the classy trumpet style base makes it a very popular table for those that do not use table linens all the time. If you have frequent cocktail parties, and do not want to rent a table linen every time, this is the highboy table for you. *All top colors have a black edge band except for white. Knocks down into 3 pieces for easy storage.